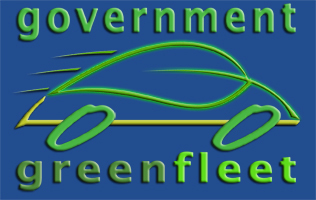 The 40 winners of the 2010 Government Green Fleet Awards were announced at the Green Fleet Conference in October. The City of Seattle was named as the No. 1 Green Fleet in North America. Greening your fleet means becoming more efficient – which can result in lowering fleet management costs. A successful green fleet management plan is a win-win for fleet operators and the environment because it will lower costs and reduce fleet emissions. 1. Fleet Composition – This category compares your current fleet composition of conventional fueled (gas & diesel) vehicles versus hybrid, electric, and alternative fuels etc. 2. Fuel & Emissions – The fuels criteria determines your use of renewable and alternative sources of energy. It compares your total use of conventional versus renewable fuels such as BioDiesel & Ethanol, and non-renewable fuels such as propane and compressed natural gas. The emissions criteria evaluates what your fleet has done to cleanup your current inventory of on and off road diesel equipment. 3. Policy & Planning – An integral part of any green fleet plan is not necessarily what you do today, but also what you have planned for the future. Green fleet sustainability is the process in which you plan for the future environmental role of your fleet. Will you continue to budget and purchase green technologies, or will you stop your current green efforts? 4. Fleet Utilization – Involves not only how your fleet is used, but also how you determine what size vehicle is appropriate for a given job classification. Purchasing oversized vehicles and engines when a smaller vehicle would suffice, needlessly adds unnecessary pollutants into the atmosphere while increasing your fuel usage. Other programs such as loan pools and car sharing programs are also evaluated. 5. Education – Knowing what new technologies are in the marketplace is an important aspect to any green fleet manager. This standard requires fleet management to stay informed about green fleet news. Your attendance in green seminars and subscriptions to green publications will keep you appraised on what’s new. 6. Executive & Employee Involvement – No longer is the fleet manager considered some abstract object sitting in the last row during council or commissioner meetings. The fleet manager of today is not only a manager, but also an educator. It is the duty of the fleet manager to educate the executive staff and political leaders of the advantages of a green fleet, new & available technologies, and the costs associated with them. Employee involvement outlines your efforts to keep the fleet employees informed about the direction of your green fleet program. 7. Supporting Programs – Is a wide variety of other initiatives that includes: applying for grants, recycling programs, parts purchasing habits, and maintenance facility improvements.